Oh cheesy sayings, you’re fun! 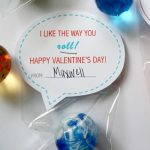 If you’ve been here awhile, you know I go nuts after Christmas with cheesy Valentines! I don’t know what got into me this Halloween, but alas I’ve been brewing up lots of cheesy, non candy Halloween treats. Did you see the mummy wrapped raisin boxes and bubbles turned ghosts? 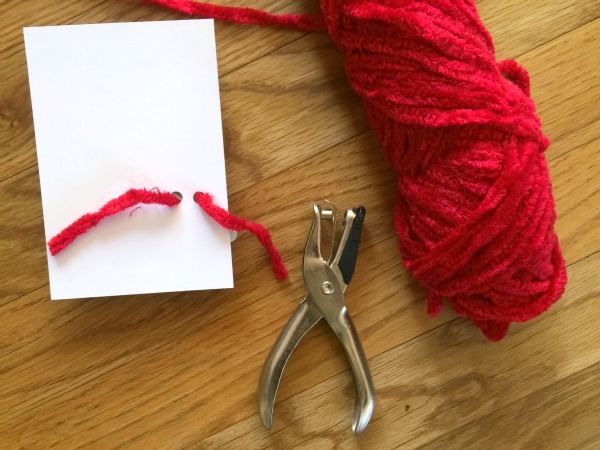 After you print the “Fang-tastic” cards and trim them to size, secure the fangs to the card stock with a hole punch and yarn. Voila! 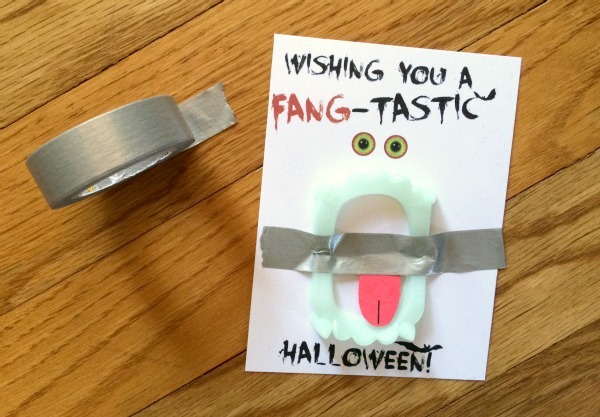 There are multiple ways to secure the fangs to the card stock. 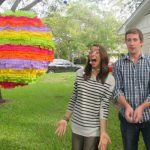 Another fun version is to use washi tape and add a construction paper tongue! 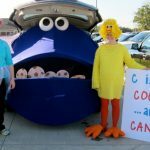 Do you hand out candy to trick or treaters? I do! But, it’s nice to have some of these on hand if a trick or treater has an allergy. And this year, I’m also using all of my non candy Halloween treats at Max’s Halloween carnival! 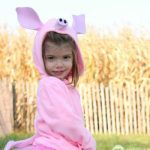 I love ideas for candy-less treats and wish they would catch on more in other households. My son is on the spectrum and hates candy, but loves all the little plastic toys, stickers and other items that he gets when he is lucky enough to a hit a house that has a clue. These are so cute, my daughter and I love doing things like this! These are so fun! I am really embracing non-candy treats this year as I support the Teal Pumpkin Project. Pinned and sharing. Thanks for linking up at Family Joy Blog Link-up Party this week! These are super cute! I love the washi tape version! Thanks for sharing with Share the Wealth Sunday! This is such a great idea for non candy Halloween treats. 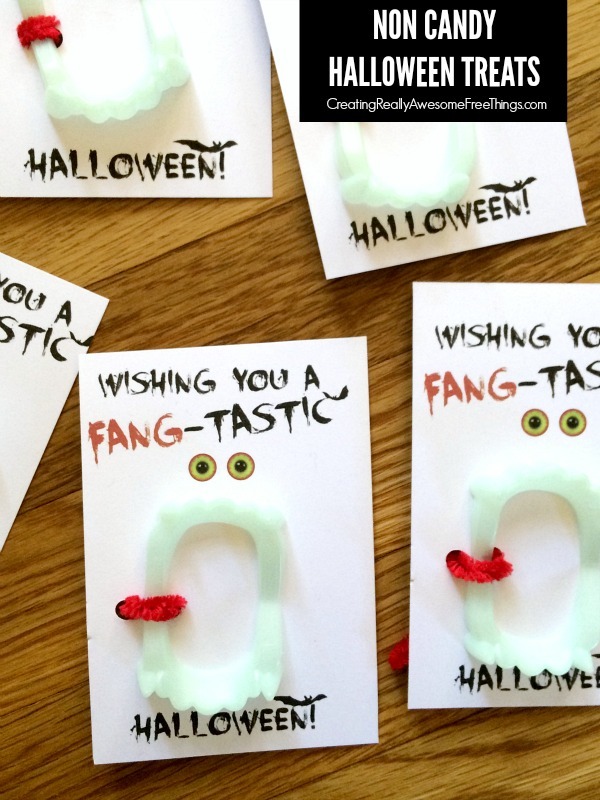 My kids love to get fake fangs! Thanks for sharing your post at the #HomeMattersParty. Hope to see you link up again this week – the party post goes live on Fridays at 12am EST.